Vietnam has reason to worry about China — particularly China’s increasing presence in the South China Sea complete with air bases on artificial islands and a massive maritime militia comprised of fishing boats, with crews answering directly to the People’s Liberation Army. Vietnam has its own claims in the region, and recent naval patrols and a landing by a Chinese H-K bomber in the Paracel Islands — a first — have amounted to a violation of Vietnam’s sovereignty, Vietnam’s Foreign Ministry stated on May 21. What’s less clear is how Vietnam would respond if tensions with China were to ever escalate to armed conflict. The scenario is not out of reach. China’s single war since the Korean War was with Vietnam in 1979. In 1988, Chinese troops and naval gunfire killed 64 Vietnamese soldiers at the Johnson South Reef. And during the past few years, Vietnam has patiently bolstered its military with the help of a long-time partner, Russia, clearly in response to China’s own maneuvers at sea. Vietnam’s military doctrine is also closely guarded, according to a recent article by defense analyst Derek Grossman of the RAND Corporation, a research institute with close ties to the U.S. Air Force. But there are a few key attributes of Vietnam strategy that tells us how it would likely confront China at sea — and those date back to wars Vietnam has fought, and won, in the past. This is somewhat different from “total war,” which often implies an indiscriminate set of targets for military action. “People’s war” refers to the social characteristics of an armed struggle waged by “masses” — for example, at the local level in the form of an armed village during the Vietnam War. The concept doesn’t easily translate to the sea. But according to Grossman, Vietnam has implemented the “people’s war” doctrine at least in part — primarily through the creation of a Vietnamese maritime militia called the Vietnam Fisheries Surveillance Force or VFSF, mirroring the Chinese version. One major impetus for the VFSF dates to 2014 when Vietnamese and Chinese vessels clashed over the Hai Yang Shi You 981 — a Chinese oil rig in the Paracels. During the standoff over the oil rig, which Vietnam saw as intruding into its territory, Chinese fishing vessels bullied Vietnamese boats sent to respond, ramming them and spraying them with water cannons. The VFSF is now here in part to bully China back — as well as grow a network of seaborne spies. “This fishing militia now features 8,000 boats and works closely with VPN, VCG, border, guards, and fishermen to monitor and report sovereignty violations,” Grossman writes, using the acronyms for the Vietnamese People’s Army (which includes the naval forces) and the Coast Guard. Secondly, a people’s war doctrine is also intended to be asymmetric — that is, trying to overcome a stronger opponent by playing by a different set of rules. During the Vietnam War, the communist Viet Cong — supported by the North Vietnamese Army — waged a guerrilla campaign that defeated the technologically superior United States politically. At sea, Vietnam will have to fight a numerically and technologically stronger China. In short, Vietnam is preparing to do to China what China is preparing to do to the United States — fight at a distance with ground-based missiles, inflict losses with submarines, and prevent enemy ships from getting too close. In 2011, Vietnam bought two K-300P Bastion-P coastal defense missile systems, which can fling P-800 Oniks anti-ship cruise missiles to 350 kilometers at supersonic speeds; reaching deep in the South China Sea and covering the Paracels. 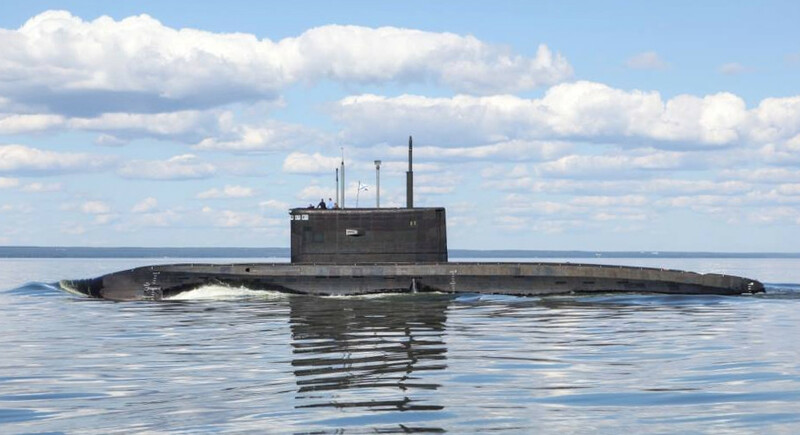 And in 2017, the sixth and final Vietnamese Kilo-class attack submarine arrived from Russia, part of a $1.8 billion deal secured a decade ago. Vietnam is also arming its submarines with Russian-made Klub land-attack cruise missiles — because a key part of an asymmetric strategy is to strike an enemy’s bases, such as airfields and ports, bypassing a one-on-one battle at sea. And the point of all this hardware, along with the expanding Vietnamese maritime militia, is deterrence — to signal to China that pushing Vietnam around comes with risks. And hopefully, that process creates a deterrence, which makes war less likely.